Robert A. "Bob" Fischer, the son of Harry and Caroline Fischer, was born in Milwaukee, Wisconsin, and grew up in nearby Wauwatosa. 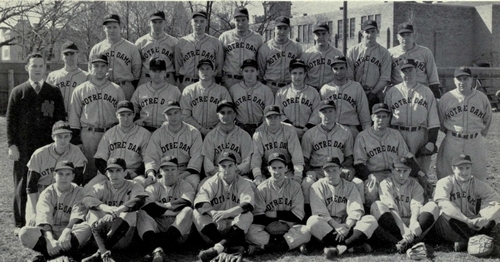 He was a pitcher on Notre Dame's baseball team in 1941 and 1942. He also played guard on the college basketball team. 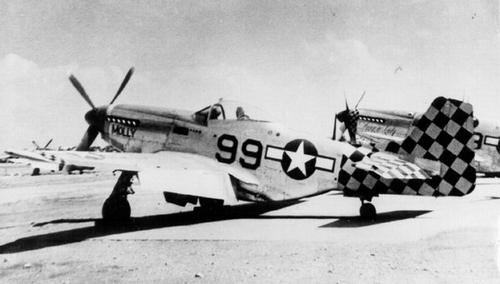 Fischer entered military service in January 1943, and served as a first lieutenant with the Army Air Force's 317th Fighter Squadron of the 325th Fighter Group in Italy. Flying a North American P-51D Mustang nicknamed "Notre Dame", Fischer was killed while bailing out of his fighter plane as it went down in flames over Lesina, Italy, on November 17, 1944. Robert Fischer was the fourth Notre Dame letterman to lose his life in WWII. In 1949, a bronze marker for the unmarked grave of Fischer was placed at Pine Lawn Cemetery in Milwaukee.